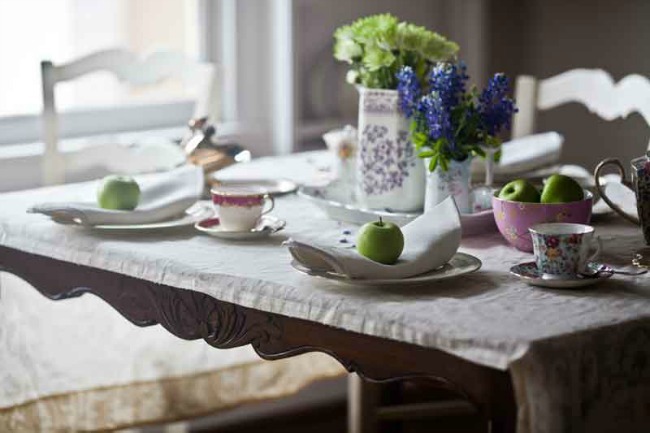 Hello and welcome…I hope you are in the mood for spring because today I’m sharing some lovely tablescape ideas and they all scream “spring!” Actually, even if you aren’t in the mood, I can guarantee that you will be by the end of this post. 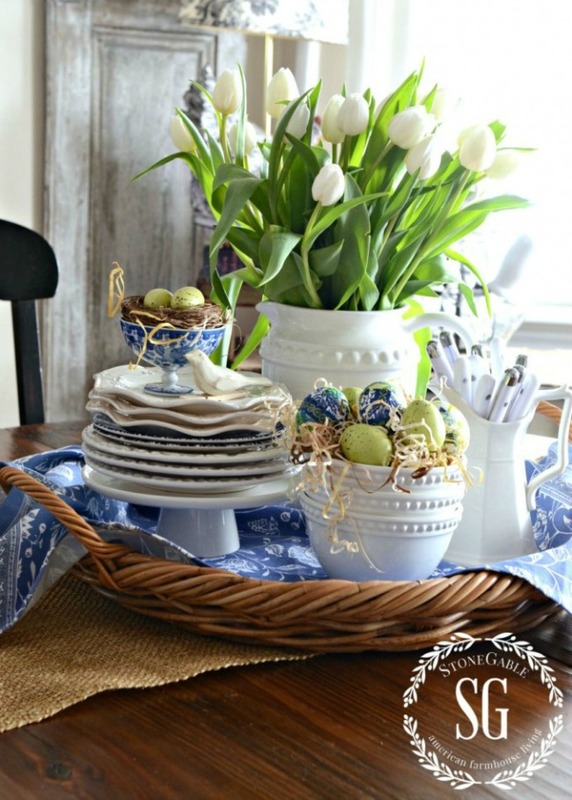 First up are two of my own Easter tables followed by three more from my Farmhouse friends. With Easter being so early this year, most of us won’t have flowers we can gather from our gardens. 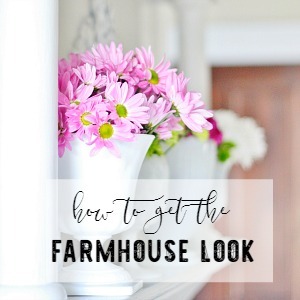 The next best thing is to grab a couple of bouquets from the grocery store. Divide them up into jars or vases, then stand back and admire the beauty. 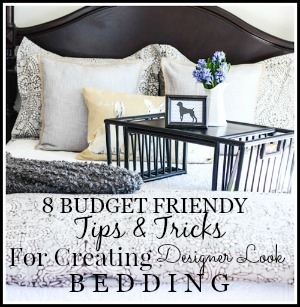 Simple and budget-friendly. Take a look at the tables and I’ll see you at the end. 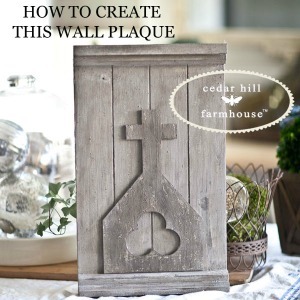 Here’s a little more inspiration from my Farmhouse friends. You will want to visit each one because the ideas and photography are incredible. Enjoy! ann you did it again and your friends too. Enjoy all you do and thank you. All the table designs are naturally simple yet beautiful – the best way. Anything using tulips catches my eye. Thank you for the post! 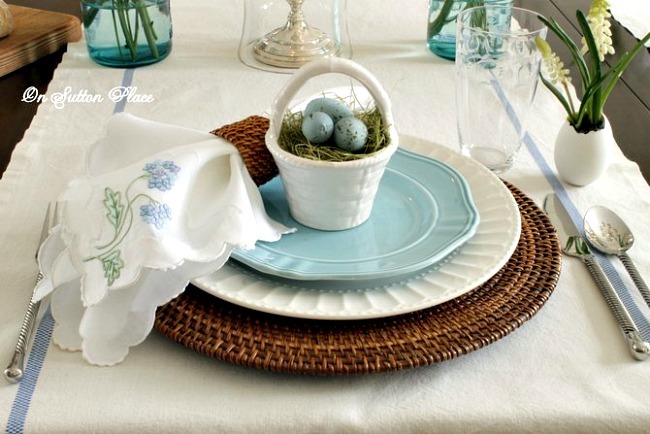 Lover your spring table scapes. They are so pretty. I am so willing to get into the mood for spring. Loved all these great ideas,thanks Ann. 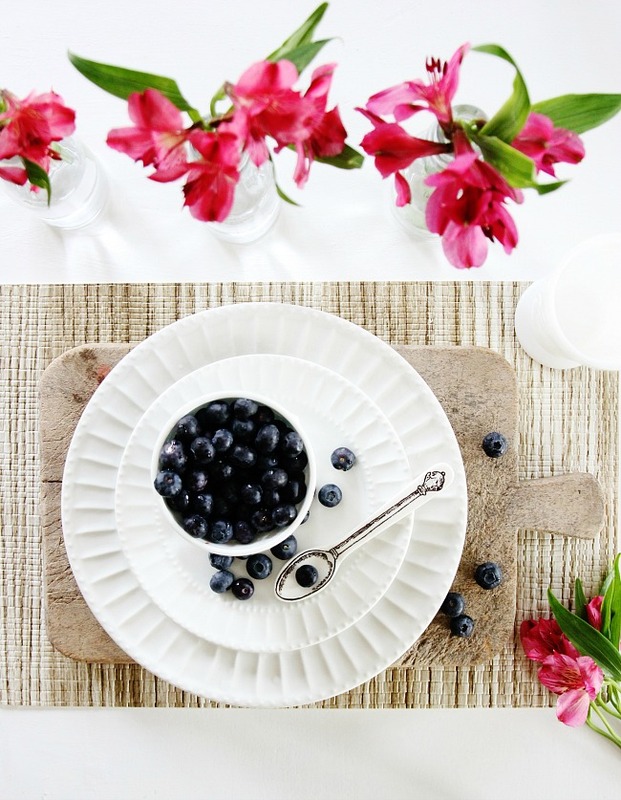 These gorgeous tablescapes make me so excited for spring! Love them all with their beautiful colors and special touches! 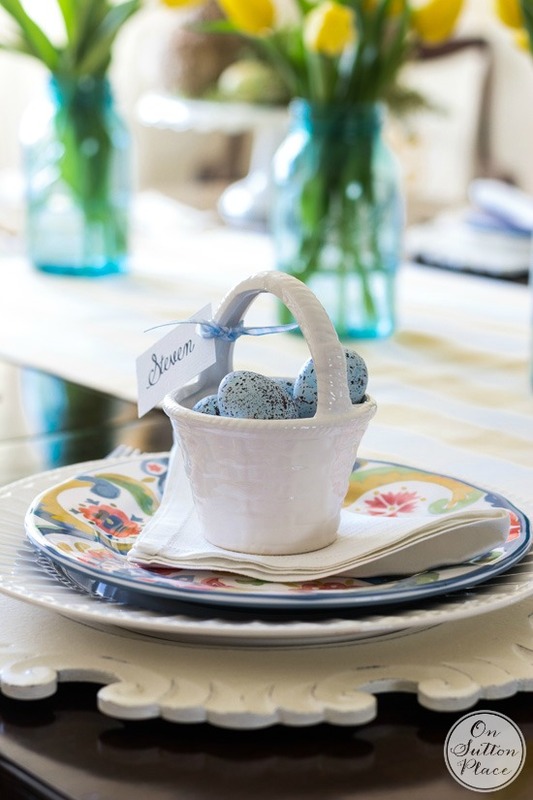 Love all the table setting ideas! 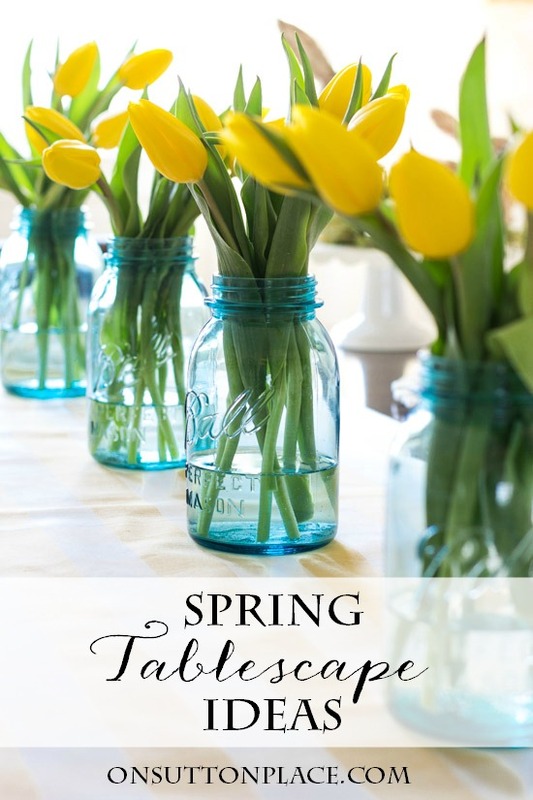 And those blue mason jars have my heart! Thank you so much Ann, for all the spring beauty! Very inspiring and uplifting! Spring is just around the corner!